The first cafes were built in waqfs in Aleppo in Syria in the second half of the 16th century, and during the same period, literary cafes made their first appearance in Turkey. In those days people went to cafes to exchange news, recite poetry or listen to storytellers and musicians. Mr. Ferlinghetti described the Beats in San Francisco as "New York carpetbaggers" who were fixated on an America that doesn't exist anymore. He gets much more excited these days browsing the offerings in his bookstore from places like Latin America, Asia and Africa than revisiting the writings of his 1950's contemporaries. "The most interesting writing now is coming out of third world authors and women," he said. "It takes hunger and passion to create great books." As shown by Md Harun-ur-Rashid in a Bangla essay (1999), "Tagore's women have 'two gods the creator-god and the man", because man has created woman out of his own imagination. In the poem titled Manoshi (the maid of imagination), one of the representative poems by the poet, ends with the idea that it is man who gives existence to woman, implying that man stands for activity and woman for passivity. Man is the creator, architect, sculptor, poet and artist, and woman the statue created by man. Rashid concludes that in "Tagore's conception, women end up being an immature, powerless, incomplete species solely dependent on man." Q. What advice do you [Olena Kalytiak Davis] have for writers? A. Unfortunately, I'm kind of nasty when it comes to poetry advice. People ask me why I don't teach. I don't want to teach. I don't think that it is essential to encourage the whole world to write. If you need to write, you will write. I don't think you can ask someone to teach you how to do it. They can't anymore than they can teach you how to live. Everything is a matter of discretion, each word you choose, who you love, what you hang on your wall. You have to make that choice for yourself. It all matters: How you arrange your books matters, what poem you choose to memorize matters, what you wear matters. Not any of it to any nth degree but it all adds up and matters. ... And no one is gonna teach you how to decide. One is always nearer by not staying still. The fierceness of these poems, which Gunn once described, regretfully, as a Sartrean fascistic tone, can also be read in terms of a self striving to define itself against its environment. "My hope is that I'm presenting a poem or a koan. Because I myself am not completely aware. I'm not presenting an answer; I'm presenting a possibility. This is my understanding of the phenomenon that's represented by the poem. And my understanding is that in the case of the canaries, it's the matter of the cage. They are there and they're being fed, so there's a little level of comfort, but they're not free." For here, lords of the Tokugawa clan entertained visitors with miniature landscapes, created to recall famous places in poetry and mythology. Perhaps the first vista is the most impressive: a lush green "mountain" to the left, created to evoke the landscape of Mount Lu Shan in China, with at its base a lotus pond, a bridge and a fine lake with an island. The island represents the Taoist paradise of Horai, a floating isle said to vanish into the mist whenever mortals approach. The censorship and persecution continued. The Inkatha Freedom Party banned his [Mzwakhe Mbuli's] 1996 album KwaZulu Natal, and he survived an assassination attempt. In 1997, when about to confront Mandela with evidence of police corruption and brutality under the ANC government, he was framed--quite egregiously--for armed robbery, and sentenced to 13 years in prison. He found himself in the same death row block where he was tortured and held in solitary confinement in 1988. He was put in a cell with Januzs Walus, the white supremacist assassin of his friend Chris Hani. No surprise, perhaps, that Mzwakhe has written a poem called "Freedom Puzzle". Rivero and journalist Oscar Espinosa Chepe, 62, are both ill, their families tell visitors. Rivero, who has lost much weight, has circulatory problems, and Espinosa suffers from a worsening liver disease. Castro must realise that even if he relents and sets Rivero and others free, they are likely to stay. Rivero has long understood that Castro may be the Father of the Cuban Revolution, but that the revolutionâ€™s children are increasingly restive. Castro can deny their simple truths like a Cuban King Lear, but Rivero and others persist. They witness. They write. And now he was dead and I was not going to his funeral. He had died of cancer but also of sadness -- the sorrow of the coup against democracy on Sept. 11, 1973, the heartbreak of the death of Salvador Allende and of so many other friends and compatriots being rounded up, tortured, executed, all of it too much for Neruda, who had spent most of his life fighting, as a communist, for the social justice and economic sovereignty that were being crushed by the military. A climate of fear -- of the suffocating sort Neruda himself had so often described in his poems, the blood he had denounced in Republican Spain in 1936 and invited the whole world to come and see flowing in the streets -- had now descended over his own peaceful Chile, invading and silencing every inhabitant. He did not mean to stay long on what was now his estate. Fate deemed otherwise. A cholera epidemic was sweeping Russia, and many provinces were put on quarantine. Pushkin remained stranded in Boldino into late autumn. No poet could desire a better respite for writing. It was drizzling day in, day out. Trees were shedding foliage in the luxuriant park. The rustle of falling golden leaves blended with the melancholy tune of the rain. Pushkin was snuggling at his tiny desk, a serf cabinet-maker's endeavour, a three-candle candelabra on it. He was writing with a stub of a quill - he had always preferred stubs. The three autumn months brought several dozen superb pieces in verse and prose. The two words "Boldino autumn" have since become a set phrase in Russian for a flight of inspiration. an enormously fat man out of a van . . .
wedging him into a wheelchair. He is sweating and waving his arms. To go to so much trouble . . .
must love him very much. In Winterreise, images are put under high magnification: a crow, a signpost, a leaf on a tree, a mirage of three suns. Schubert carries the effect of these short poems far beyond sentimentality â€“ with incredible economy, he spins music that grips the heart icily, cracks in geysers of tears, or falters in insanity. They improvise on topics from politics to love, making their points in rhythmic, rhyming stanzas. Get them together on a stage and they're likely to try to one-up each other with good-natured insults that grow more outrageous with each verse. Basque poets may be the original rappers. Basque poetry is an ancient art, with antecedents that date to the 15th century, but it is as current as the news. Now, a group of Basque-American poets who have kept this native art alive in their adopted country have been selected for an award from the National Endowment for the Arts for their work, though the official ceremony scheduled for yesterday in Washington was postponed because of Hurricane Isabel. from SunSpot.net: An ancient art stays current: Award: Artists who have kept a centuries-old tradition of oral poetry alive among the West's Basque immigrants receive national recognition. What may their meaning be, or their intent. Your heritage in time's oblivion spent. The men who are to bear my body wait. With tall black wings and drooping lashes wet. This boy was, in short, an auto-didactic prodigy, but it was only after his death that his father ensured his translations were published. A line from one of her poems was chosen as the title for a national anthology of poetry written by Native American students. The anthology, "Night is Gone, Day is Still Coming: Stories and Poems by American Indian Teens and Young Adults," takes its title from Blacksmith's poem, "Next Generation," which she wrote when she was 13. "It's like an elder telling a story about what the next generation's going to be about," she said. Of the 80 poems in the anthology, which was published in August, 14 of the pieces were written by Lodge Grass students. On the trip to Washington, Blacksmith hopes to challenge East Coast perceptions that Native Americans still live in tepees and wear traditional clothes. "We live in your world, too, kind of thing. We don't live in the past," she said. The unique qualities in the "War Requiem" begin with the verses, which inspired Britten to devise an imaginative juxtaposition of materials and musical forces. He assigned the Owen poems to solo tenor and solo baritone as soldiers reflecting on horrific war experiences. They are placed near the front of the stage with a chamber orchestra. Behind them, a full orchestra, chorus and soprano soloist perform the Requiem. And from a distance can be heard a boys' choir and organ limning angelic aspects of the Mass. Attentiveness to the natural world is one of poetry's deeper themes, he explained. Poetry also deals with the history of human emotions - not battlefields. Collins calls that a "historical community of feeling." Feelings about love, sadness, separation, contentment and celebration are reiterated again and again in poems. "Poetry is something that taps you on the shoulder every so often to remind you of basic information - like that we live in a natural environment," he [Billy Collins] said. "I don't know if democracy is the word that plays in here, but commonality is: Poetry reminds us of what we have in common." Some of Michelangelo's love poetry, which he had intended to publish with a dedication to his muse, Vittoria Colonna, is to be published as a collection for the first time. Poe's 1845 poem The Raven made him famous in the United States as well as abroad, especially in France. The writers Charles Baudelaire and Stephane Mallarme considered Poe one of the greatest thinkers of their age and translated his stories and poems into French. Painters Edouard Manet and Alphonse Legros created striking printed images to illustrate the French editions of Poe's works, establishing a tradition that was later taken up by Aubrey Beardsley, Gustave Dore, Felix Vallotton and Henri Matisse, among others. "I break down barriers between all the music disciplines and between people," he said. "I was the guy who introduced piano into flamenco music. "I was taught jazz by my father in Florence when I was only four years old. But jazz lost it's way and it's meaning and I've been trying to bring it back. It's as much an Irish genre as a black one - I discovered that when I went to the roots in Alabama. "I've been called a Latin lover, but what that really means is that I love life, the trees, flowers and the stars and above all music of whatever culture." Her own music, first heard on 1990's solo debut Old Wives' Tales, an underappreciated post-punk classic, finds Cervenka shedding her rock veneer for a folksy raiment and draping her provocative song poetry in semiacoustic folk rock that leaves plenty of room for slyly turned lyrical phrases. In some countries, hundreds of thousands of people line the streets and fill the squares to pay tribute to poets. In most cases, these tributes come on the occasion of a writer's death. Sunday night, in Edmonton, we have the opportunity to celebrate the life and work of a living poet, the mighty Leonard Cohen. In the same First Baptist Church of Hendersonville, where his wife June Carter Cash was eulogized just four months ago, Cash?s friends and family recalled him -- in the words of Kris Kristofferson?s ?The Pilgrim: Chapter 33? -- as ?a poet, as a picker ? a walking contradiction, partly truth and partly fiction/taking every wrong direction on his lonely way back home.? The poet of Gower Avenue became a stateless pop star behind the single from the follow-up Excitable Boy, the mini-surrealist "Werewolves of London." As novelty smashes often do, it seemed to come from nowhere, or everywhere. As in Woody Guthrie's championing of the working man in "This Land is Your Land" and Bob Dylan's era-encapsulating "Blowin' in the Wind." Currently, poet-prophet-folksinger Ani DiFranco creates this sense of righteousness and will to fight the power best for me, especially in her chillingly delivered poem "self-evident," in which she says: "...and I'll tell you what / while we're at it / you can keep the pentagon / keep the propaganda / keep each and every tv / that's been trying to convince me / to participate / in some prep school punk's plan to perpetuate retribution / perpetuate retribution / even as the blue toxic smoke of our lesson in retribution / is still hanging in the air / and there's ash on our shoes / and there's ash in our hair." That Pankaj Udhas is committed to keeping the ghazal alive and kicking was evident when he decided to revive the Khazana concerts which were started in 1983 and discontinued after 1987. ?It has been my ardent desire to bring together prominent ghazal singers on one platform again and Mumbaikars were recently treated to a two-day of ghazal feast. We plan to do it every year, ? Udhas said. "I knew he was different - he was using different vocabulary, he had a different style - but I still didn't know how people would take him," Bozza said. "I didn't know how long he could sustain it, and what I really couldn't predict is how much his rap style has evolved and progressed and gotten better. "At the same time, hip-hop also has grown into this tremendous international language, so Eminem is the top rapper everywhere, from Taiwan to South America - it's not just Europe and the US anymore." Interestingly, Christopher Ricks, formerly professor of English at Cambridge, now professor of humanities at Boston, is conspicuous by his absence from that last volume. Which is odd considering that he is, with the American, Greil Marcus, the academic most associated with Dylan. Indeed, he was the brain behind the "Is Dylan Better Than Keats?" faux debate more than a decade ago, on Dylan's lyrics, and which splutters on from time to time, usually when Dylan finds himself the bemused recipient of yet another honorary doctorate. International rugby chiefs gave in to an Australian revolt on Friday when they agreed that Waltzing Matilda could be performed before the world champion Wallabies took to the field at the Rugby World Cup from October 10. Along with Costello, you could name Nick Cave, who began as a gothic punk in 1978 but become one of our finest ballad writers in the past decade; Texan country writer Lyle Lovett, who, like Costello, is a master of both melody and lyric; and Bruce Springsteen, who has few peers for his ability to capture the conflicted soul of America. At least as high would be Lucinda Williams and Steve Earle, who are possibly the finest lyricists today. Williams has a poet's ear and a sensualist's soul, while Earle's leaning towards the storytelling tradition is flavoured by a short-story writer's lean prose and eye for detail. Though sometimes erroneously called alternative country writers, their songs are not genre songs and they cross boundaries effortlessly. The Sydney Morning Herald: Who writes the songs? "As soon as I start doing commercial things, I get distracted from my work," he said, comparing himself to artists Franz Schubert and Vincent Van Gogh, also famous for being bad salesmen. Known for spending as much as a month on five minutes of sound, Filippov is determined to digitize the entire collection before it falls apart. But if he had the chance to slowly remaster one writer's voice from the original cylinders, he has little doubt as to whose he would choose. "I would do all of Tolstoy over again. All two hours of sound," he said. "But it would take me a lifetime." "Whatever gifts I have been given have to do with popularizing, with making Shakespeare accessible," he says. His success can be measured in part by the number of English majors who breathlessly praise him years after their college days have given way to the pragmatic realities of driving ships or flying planes. Michael S. Mattis, a 1994 graduate, is one of the world's few nuclear submarine engineers who also hold a master's degree from Oxford in Shakespearean drama. "How does that happen?" says Mattis. "The answer to that is Doc White." from SunSpot.net: A modern Falstaff molds Mids' minds: Professor: Doc White takes an unconventional approach to teaching Shakespeare at the Naval Academy. Not only does Spanglish lack an army and a dignitary, it has not acquired the level of standardization that Yiddish achieved by the end of the 19th century. But its status is only likely to increase. Linguists distinguish between a ``pidgin,'' a simplified combination of languages used for communication between groups speaking different tongues, and a ``creolized'' languageâ€“which boasts a more fully developed syntax and vocabulary than a pidgin because it has become a community's native tongue. For years, Spanglish was essentially a pidgin, but there are fascinating signs that more formal rules are being developed. Most of these newspapers devoted at least half a page to poetry or drama. Their language was more literate than the papers of today, despite the fact that few editors then were college graduates. However, all of these editors were readers of the classic literature of their day.These are the papers read by George Washington, Alexander Hamilton, John Adams, James Madison, Benjamin Franklin, Thomas Jefferson and the hundreds of others who played a role in creating the First Amendment. But a snark blatantly attacks the author - not simply to retard his career but to advance the reviewer's, either by proving how clever he is or simply by injuring a competitor. Since a good book can certainly be injured by a bad review, the distinction between the snark and the legitimately destructive review is well worth having. Ginsberg wrote the classic long poem Kaddish. three years after his mother's death in 1956. His mother's steadily worsening paranoia and deteriorating mental state dominated Ginsberg's childhood. "It was Symphony Space that chose this particular production to bring over. And it seems natural - after all, Allen Ginsburg is an American cultural hero, and one of the most important writers of the Beat generation. This Israeli interpretation of the story of an American Jewish family is a unique bridge between the two cultures," Habimah spokesman Koby HaCohen told ISRAEL21c. Contemporary poetry is as varied and flexible as our world and millions of people read, write and listen to it. Although traditional forms of poetry have survived and continue to flourish, the new form alongside it â€” free verse, has no fixed rules such as rhyme or length of stanza as in previous ages. Many writers have experimented with language and form. 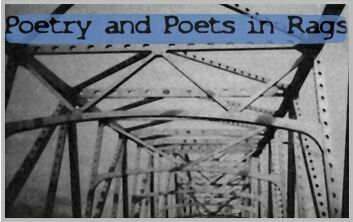 But the core of poetry is today as it was in the past â€” a life-affirming communication, with its melodic tones, textured themes and its ability to rouse the mind to new vision, reflecting both our community and the world at large. "Names etched on the head of a pin. One name spanning a bridge, another undergoing a tunnel. A blue name needled into the skin. Names of citizens, workers, mothers and fathers, The bright-eyed daughter, the quick son. Alphabet of names in a green field. Names in the small tracks of birds. Names lifted from a hat Or balanced on the tip of the tongue. Names wheeled into the dim warehouse of memory. So many names, there is barely room on the walls of the heart." Spotting the best writers was easy, he told the puzzled editor: "Their lips move when they write." "Ellen Goodman was one of them," Murray said when I asked him about Driscoll's story the other day. He knew the Pulitzer-winning columnist's work, but not her face. "When I saw her lips and throat move, I knew that she was hearing her voice as she wrote." The motivation behind these divergent translations is not simply the hubris of a translator convinced he can do it better than the last guy. Dante was a complex poet, and the â€œComedyâ€? is a complex poem. As Robert Hollander himself has written, Dante â€œis so much richer and deeper than we who write about him are, and allow him to seem.â€? In that sense, each translation is a success of its own definingâ€”not the dreadful failure that I suggested above. from MSNBC: Purgatory, In All its Nuance: Our obsession with Dante is ongoing. The latest addition is Anthony Esolenâ€™s reader-friendly translation of Purgatory for the Modern Library. How does it measure up? Yes, there was an immediate reaching out to poetry after September 11th. It was amazing how swiftly poems traversed the Internet and the culture at largeâ€”especially Audenâ€™s â€œSeptember 1, 1939.â€? At that moment, you didnâ€™t say, â€œOh, I want to read a novel.â€? Somehow it just didnâ€™t seem the thing. I can't do everything myself. Forty years back, among the bales of hay. Seeing it in the muck-strewn cobbles below. Who had travelled far, pretending to be him. After half a lifetime, would least have surprised him. "We were eating black bread and/ drinking goat's milk when your/ missile hit our house," he recites to an enraptured crowd during a weeklong stint in Japan of "Conjure," a collaboration between Reed and a star-studded band that includes saxophonist David Murray, drummer Horacio Hernandez and bass player Anthony Cox. "I am the only survivor/ and when I asked you why/ you said well this is war/ and in a war such things/ happen." Kim was handed a death sentence in 1974 on trumped-up charges of sedition. Worldwide outrage brought his release, but he was quickly given another prison term in 1975. Kim was nominated for the Nobel Prize in literature abroad and vigorously censored at home, all while languishing behind bars. He finally tasted freedom in 1980. "Young people today know only the facts of history but not the thoughts and fears that went through the minds of related individuals," Kim said. Initial steps have begun to exhume and identify the remains of Spanish poet Federico Garcia Lorca, who was shot dead by right-wing forces at the outset of Spain's Civil War in 1936. Buffalo keeps its poetic community, like many of its other artistic communities, a well-known secret. A rumor everyone's heard but few can substantiate, Buffalo's reputation as a literary center, especially one that caters to the avant-garde, is a present, vital force within the community. For many poets, it was the reason they came to Buffalo; for others, it was the reason they stayed. A fear of failing keeps many children from enjoying writing and from writing well. Even at a young age, a child creates an "internal critical editor" -- a snide creature who scoffs at early efforts and crushes the desire to put down a single word -- let alone cohesive, well-developed, and organized thoughts. In the end, MoliÃ¨re, like Shakespeare, paid a price for not being exclusively an author. MoliÃ¨re was also an actor, and worse, a provincial comedian. Corneille, on the other hand, was a refined tragedian and an aristocratic writer. Fabienne Dumontet, a teacher of French literature at the University of Grenoble, remarks that the three great authors whose paternities are still at stake in contemporary debates â€” Shakespeare, MoliÃ¨re and Rabelais â€” are all writers who happened to work on the genre of the farce. The volumes resemble barrel slats -- about 3 feet long and 6 inches wide. The paper, edges rounded, looks like the skimpiest gossamer but is surprisingly sturdy, even silky to the touch. The unbound, dog-eared pages are filled with faded black Tibetan script bursting with wisdom on religion, philosophy, poetry and enlightenment. Ryan, who died in 1886, became a folk hero of the post-Civil War period with poetry admired in both the North and the South. A collection of his poetry published in 1879 went through 40 editions and earned as much as $1.6 million before 1920. His most noted work is "The Conquered Banner," a postwar salute to the Confederate flag. Margaret Mitchell incorporated the popular poem and its author into "Gone With The Wind." Rollie McKenna, the photographer who has died aged 84, took many of the best-known images of the British and American writers of the Fifties and Sixties; in particular, her pictures of Dylan Thomas and Sylvia Plath have become the standard portraits of the two poets. However lyrical and lapidary the work, you have to applaud the publisher who wrote back in Stein's own voice: "Having only one life, I cannot read your MS three or four times. Not even one time. Only one look, only one look is enough. Hardly one copy would sell here. Hardly one. Hardly one." These days to succeed in poetry, you have to be an indefatigable trooper like Ian McMillan - gigging gamely, doing radio and popping up as poet in residence in the most unlikely places. Poets today are running writing courses, editing, reviewing, judging poetry competitions, working in arts administration. All that may pay the rent, but it doesn't please the muse. Somewhere, out there, the good stuff will continue to be written, and we won't notice, and we won't particularly care. It's hard for me to believe that ideas should be sold like cereal. They are fragile little creations. They are an important building block of democracy. In the cynical world of realpolitik in New Delhi, maybe itâ€™s poetry that can ensure this unprecedented alignment. Four former Prime Ministersâ€”all bitter rivals at one time or anotherâ€”have got together to host an evening in honour of their fifth compatriot. Chandra Shekhar, P V Narasimha Rao, I K Gujral, and H D Deve Gowda have sent out invitations jointly signed by them for an evening of poetry by V P Singh. No writer before McGoogan, however, has claimed that Hearne was the inspiration for the Ancient Mariner. Does he not fear the picky British critics will savage him when the book is published in England by Bantam UK in January? "I believe I have an ironclad case and I will be prepared to defend in some detail," he says. This is what history tells us. But poetry has another account. The genius of Hilaliyya is that it turned this crude political act in history into a living epic that deals very delicately with human life in its individual and collective forms. The bards singing Hilaliyya would tell you how "sorrow escapes no one Â­ even the sails of boats and the bowing dates on palm trees know it. Â­ They would tell you that the world is full of wonders that are passed by as common, like the smile of the defeated to the victor." "Still trembling after this first visit from the muse, I held out to them the paper with the lines of verse. My father took it absentmindedly, read it absentmindedly, and returned it to me absentmindedly, saying: â€œWhere did you copy this from?â€? Then he went on talking to my mother in a lowered voice about his important and remote affairs.